The Silver Lining Foundation (Trinidad & Tobago) and PACER (Minnesota, USA) in a UNITED stance against bullying. Our Foundation was founded in response to a tragedy that was a result of bullying. It seemed fitting then that we partner with a longstanding organisation committed to bringing about the end of bullying. 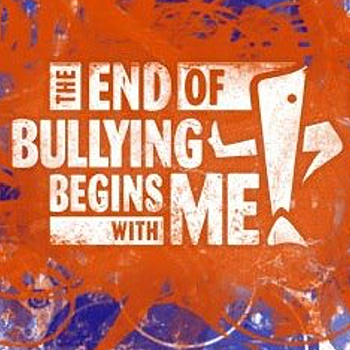 We found one in PACER who has been committed to the fight against bullying for the past six years when they first launched their National Bullying Prevention campaign on October 22nd, 2006. We now seek to bring that movement here to T&T. Right here in T&T, there is a need to raise awareness of bullying, as it was historically viewed “a childhood rite of passage” and believed that bullying “made kids tougher”, when the reality is that bullying has devastating effects such as school avoidance, loss of self-esteem, increased anxiety, and depression. Bullying should not be accepted as part of growing up. It is time we start looking at this as a serious issue which affects our children without discrimination. Each child is guaranteed the right to an education however this guarantee is affected when violence fear and intimidation are allowed free reign in our educational institutions. It’s time we all take an active role in fighting this growing epidemic not only in October but throughout the year. We hope you’ll join us in our efforts. Numerous kids have already messaged us indicating their heart-wrenching tales of bullying experiences. One of these kids may well be yours. One of these kids may be your friend. We hope you’ll join us in standing up for them all.